Obstructive sleep apnea is certainly something that has the potential to be dangerous. This particular sleep disorder is known to obstruct (get it?) the airways in a person while they’re sleeping. This means that the person who is suffering from this disorder will actually stop breathing several times during the night. It can be scary to think about and not everyone is aware they have it. Maybe you sleep alone and there is no one to catch the sounds you’re making. Maybe you sleep with a heavy sleeper who wouldn’t notice if an earthquake happened. Whatever the reason, it’s important to take that step forward into investigating when you don’t get a good night’s sleep more than once a week. With new technologies been invented for early diagnosis and treatment of various disorders, the Ben-Gurion University, Israel has come up with an innovative smartphone-based system for assessing a patients’ obstructive sleep apnea and sleep–wake activity, a study of how sleepy one feels. The technique of assessing the activity is cheap and easy to use and can possibly serve as an alternative over the traditional polysomnography in few studies. The patient is not required to be connected to any sort of sensors to assess the activity. Instead, it performs on a program that can be downloaded on the smartphone to examine sleep and speech sounds. The microphone of the smartphone is used by the software to hear the sounds a sleeping person generates. The recorded sounds are processed and classified to determine specific events such as coughing, wheezing, or snoring. To evaluate the accuracy of the software, the research team performed an analysis which included 350 volunteers. It was found that the smartphone-based system was able to accurately verify the sleeping events and assess the sleep–wake activity and obstructive sleep apnea in the subjects. It’s great to see new technology being developed to help people. Not everyone has the time or money to invest in visiting a sleep clinic or even bringing up this potential issue with a doctor. Being able to test it out in your own home gives you that freedom to be more comfortable in your surroundings. By visiting your healthcare professional armed with information, you can circumvent difficult tests or bypass the waiting game while your doctor tries to determine what tests are needed and when you could go. It doesn’t replace the need for a healthcare visit; it enhances it. This is especially useful for those who live alone or for those who think it’s just a snoring issue. Snoring can be a sign of sleep apnea so instead of passing the earplugs over, fire up the app and see what comes out of it. It’s the time of year again. Students are swarming schools all over the country from kindergarten all the way to university and college. It’s back to school and that means a more regimented schedule should be implemented for everything. This includes parents as well as students. For those who are finding themselves in post-secondary for the first time might have a harder time trying to control themselves. Safeguards, like parents, might not be there and the newfound sense of independence and freedom could very well be their undoing. 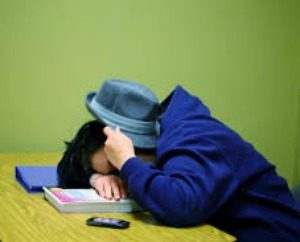 College students who deprive themselves of sleep are more at risk of losing academic success, according to health professional Dr. Keith Willmore. Willmore, medical director of the BYU Student Health Clinic, said there is definitely a connection between lack of sleep and poor academic performance. He said cognitive functions are worsened due to sleep deprivation. “Most students tend to stay up much later and sleep in, resulting in both less quantity and quality sleep,” Willmore said in an email. Students who slept for more hours had higher grade point averages than shorter sleepers, according to the article. University and college are not cheap, by any stretch of the imagination. Even if you’re lucky enough to be the recipient of a scholarship or have family who are able to pay the way, that’s still a hefty chunk of change. You don’t want all the hard effort you put into your courses to go down the drain because you’re having issues with your sleep schedule. Lack of sleep can be brutal for your health. Like any other health concern you might have, you should visit a doctor if sleeping, or lack of sleep, is happening more often than not. It could be that you’re suffering from insomnia or maybe you snore in your sleep and need to wear a mouthpiece. It doesn’t have to be a struggle if you get help for it sooner rather than later. You just have to take charge of your life and if that means missing out on a party or two so you can get some proper sleep and not bomb that final exam in two days, then maybe that’s what you need to do.